Dorset. Wow. We under-estimated you. 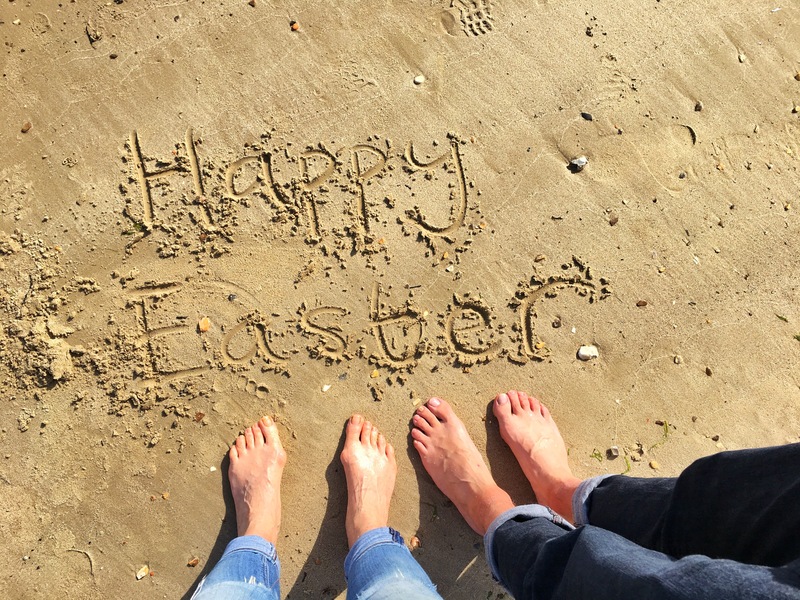 The Easter long-weekend had gifted us with the possibility for a four-day adventure and we were keen to make the most of it. With spring in the air and the possibility of blue skies and perhaps even the golden orb that those in the southern hemisphere call the sun, we decided to head to the coast…. 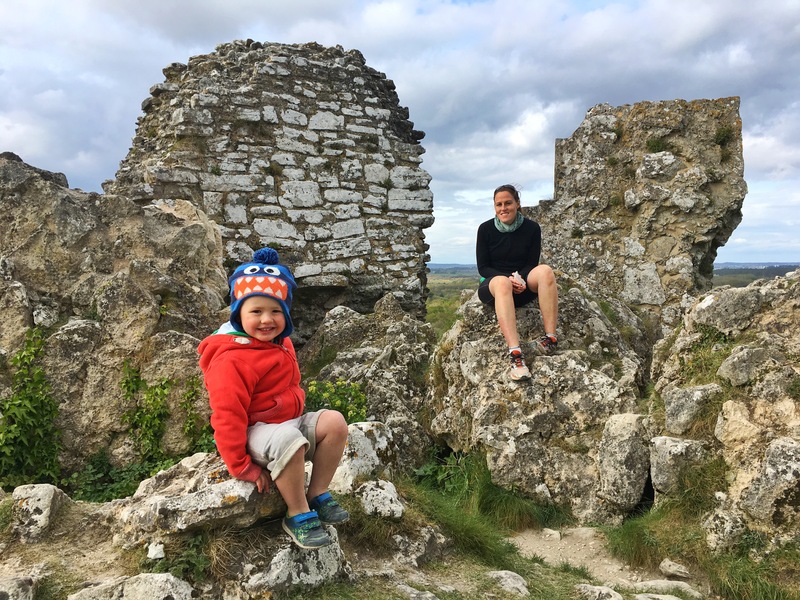 The Isle of Purbeck in Dorset was our chosen destination. 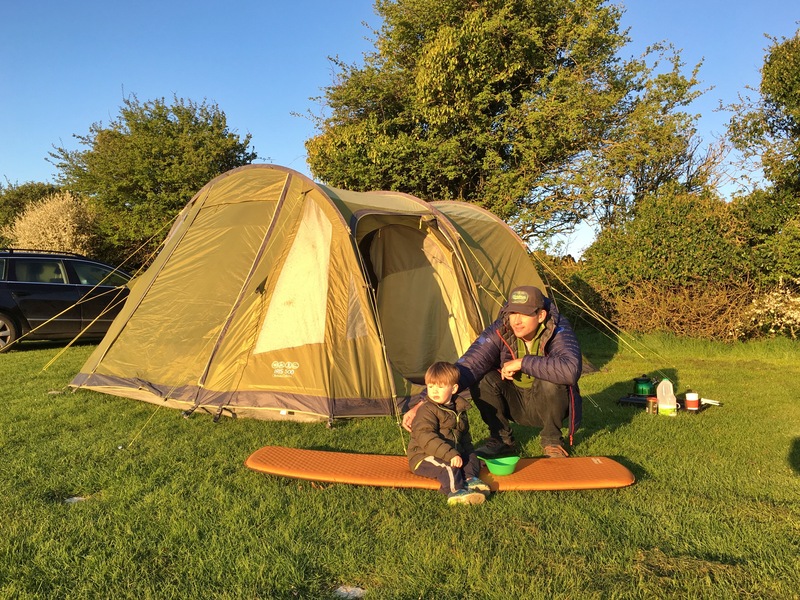 We stayed at Tom’s Field campsite (no longer owned by Tom but most definitely still a field), located in Langton Matravers (3 miles west of Swanage). It’s a well-known place, having been there for well over 60 years and it is genuinely a really lovely campsite with a very chilled vibe. The ‘field’ is 4 acres in size and comprised of a lower and upper area. 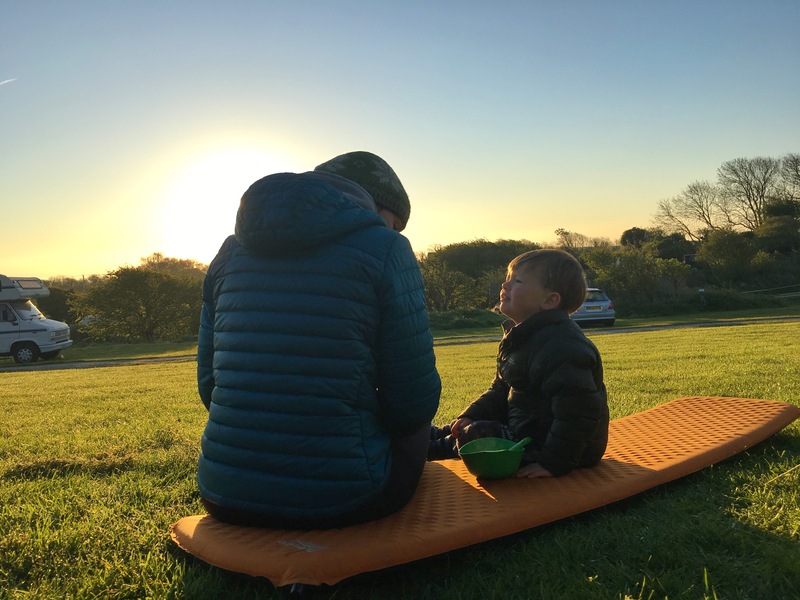 We camped in the upper area, pitched ready to receive the morning sun; surrounded by farming fields and with long views down towards Swanage and the sea it was incredibly tranquil and rather beautiful. Staying at the campsite were a mixture of families, climbers, walkers, cyclists and those just getting away from it all; everyone was super-friendly and respectful. The family aspect was lovely: within minutes of arriving Oskar had been adopted by a tribe of about five 6-10 year olds from 4 different families who absolutely doted on him and took care of him. 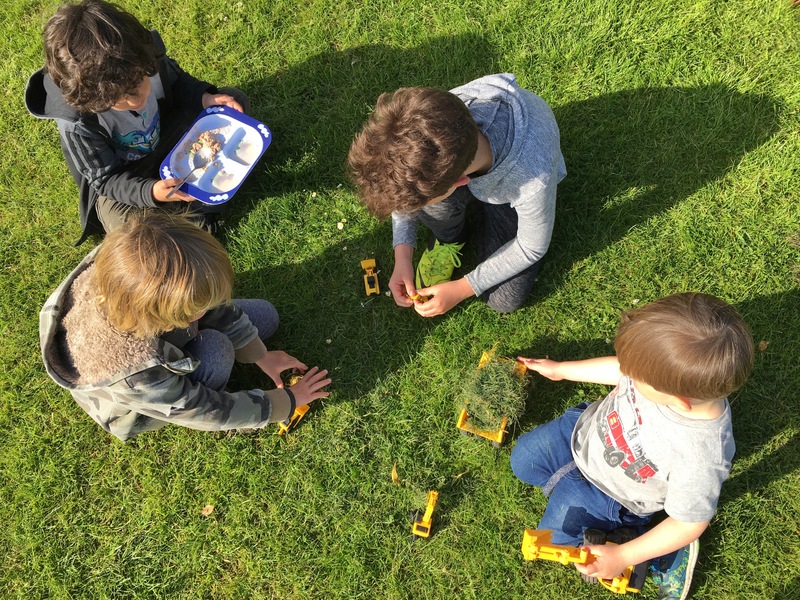 They were adorable and spent the next few days charging around together, giggling, bundling, playing in the woods, making lego, playing with diggers, and every now and then I’d find them all in my tent and have to shoo them out! But it was lovely and being able to let the little ones run wild and play in a safe environment is one of the greatest things about family camping. 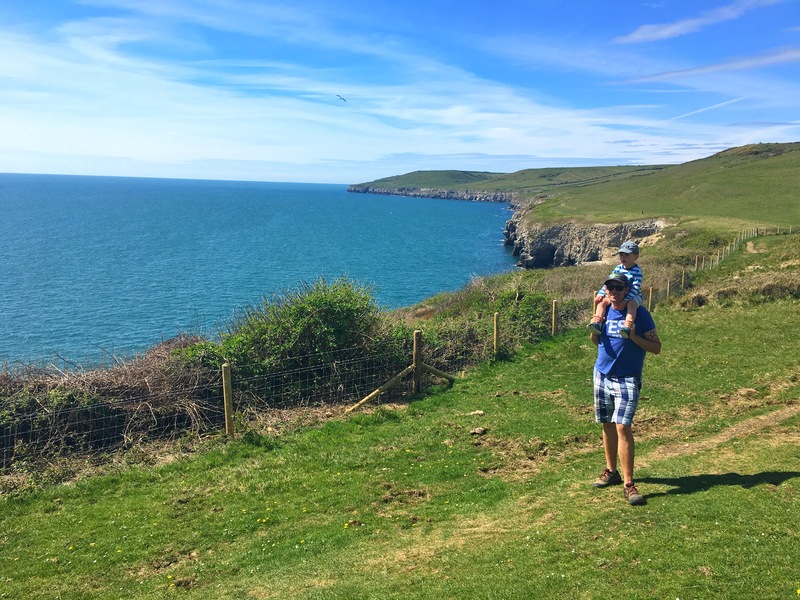 Something we were looking forward to this trip was the opportunity for a some cycling, which was part of the reason we had chosen a campsite in close proximity to Swanage, so that we could get around easily. The only problem….. Morts had forgotten to pack Oskar’s chair for the back of my bike (grrrr)!! I won’t lie… I had a rant. But luckily for Morts the problem was solved within half an hour thanks to Google and a hired child’s bike seat from Cycleexperience – Purbeck Cycle Hire who rent out all sorts of bikes for a pretty reasonable price. Mobile once again, we enjoyed a cycle down into Swanage, which was lovely, although we pretty quickly realised that we were going downhill a LOT and hence the return journey was going to be rather a different experience! 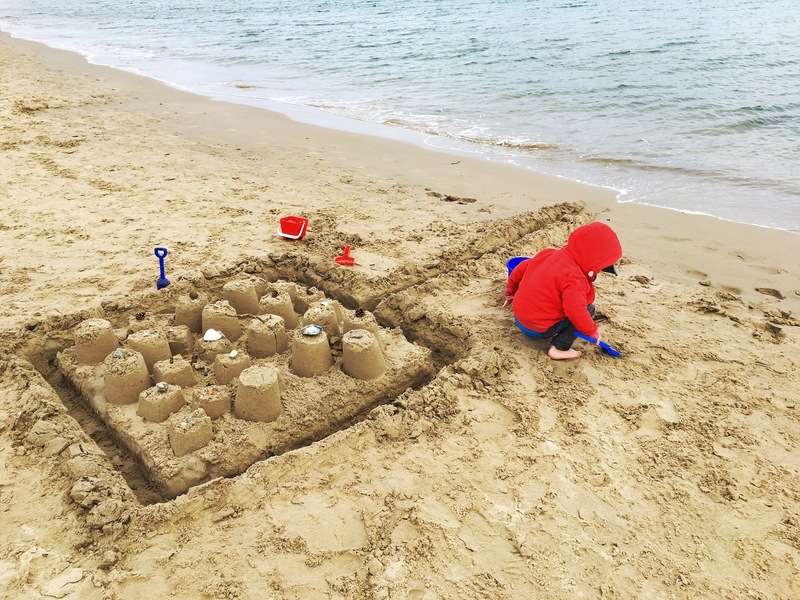 I’ll be honest, we weren’t exactly over-whelmed with Swanage town/beach itself. 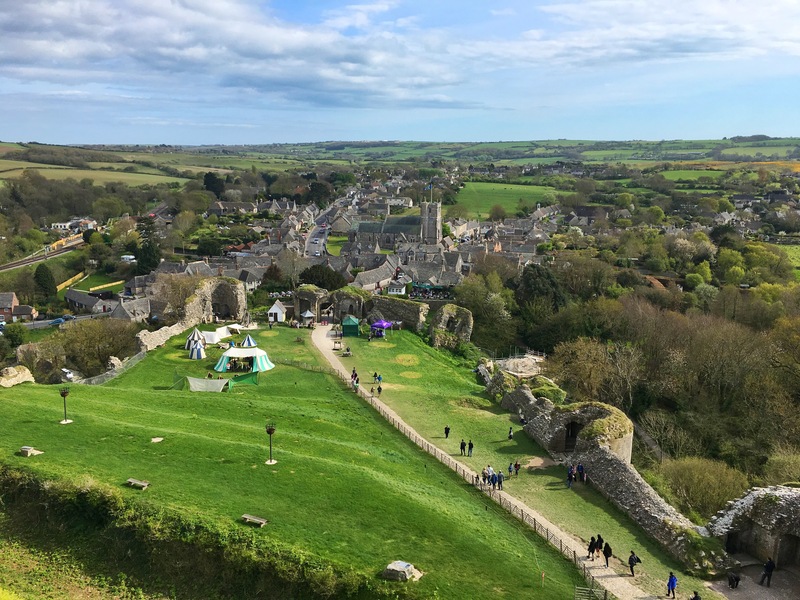 Swanage is your typical British seaside town with a groyne-filled beach and amusements and fish and chip and ice-cream shops all along the seafront. Our initial experience wasn’t helped by the fact that by the time we got down there it was 4pm and about 6oC! 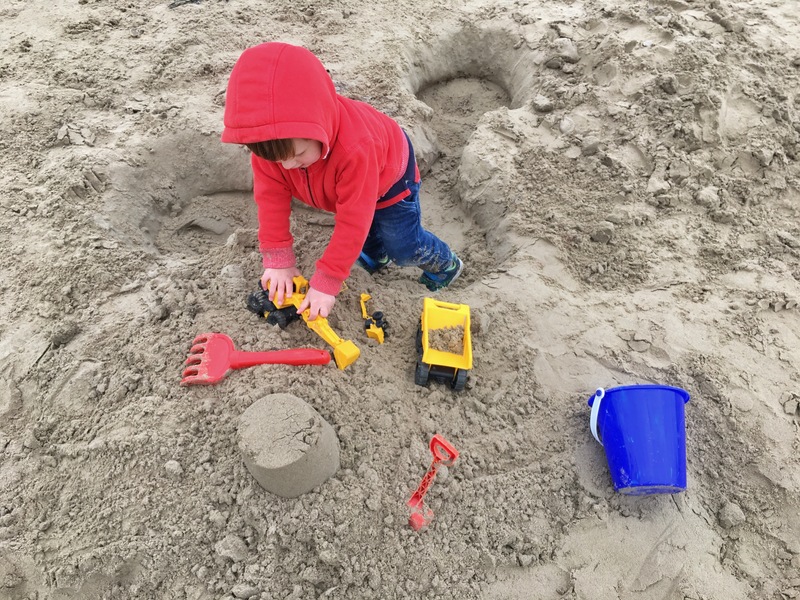 Still, Oskar had a great time building sand castles and running around the beach and at least we had got out and orientated ourselves on our first day. The cycle home took us 40minutes going at a very leisurely pace. Yes there was a lot of uphill but it was slow and steady and actually very enjoyable. 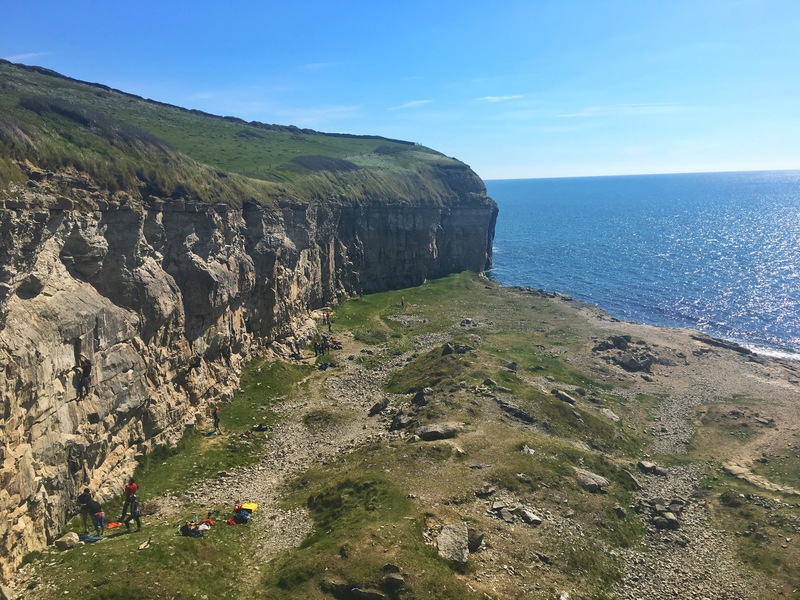 One of the best things about Tom’s Field Campsite is its proximity to Dancing Ledge, which is a big attraction for climbers. 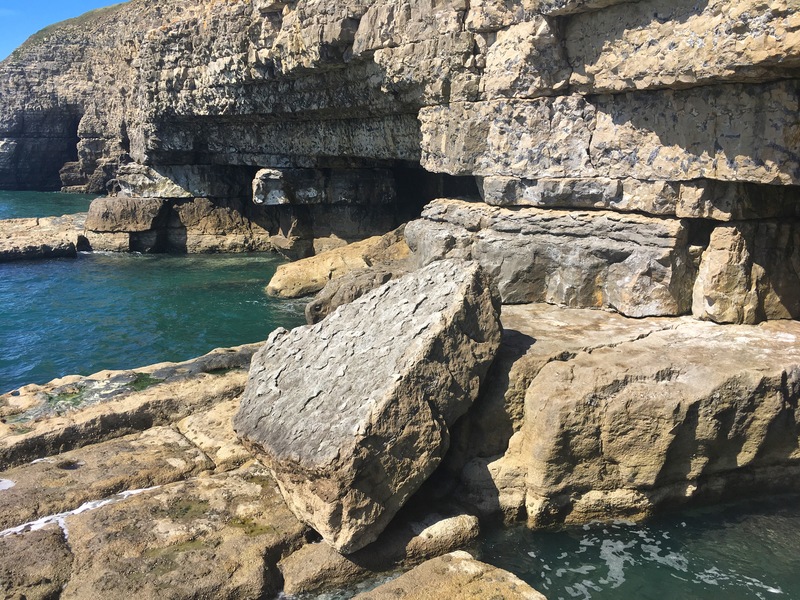 Dancing Ledge is a flat area of rock that juts out from the base of a limestone cliff, which used to be an old quarry. 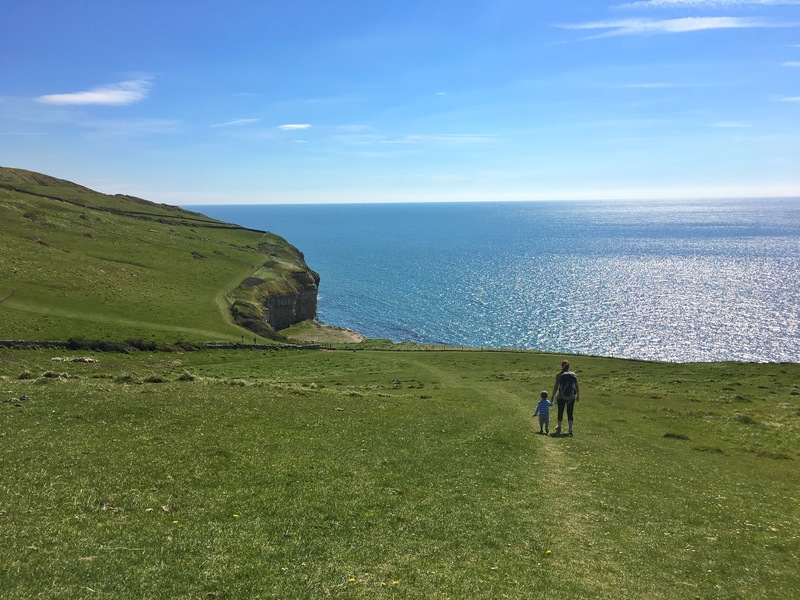 It’s about a 45 minutes walk (toddler time) from the campsite to the coast – through some fields of sheep/lambs, along a coastal track and then descending a steep hill. The track is not suitable for buggies: it’s pretty rough, uneven and steep, and getting onto Danicing Ledge itself involves some scrambling that certainly not everyone would be happy to do. But even if you didn’t want to do the scrambling you could enjoy sitting at the mid-level watching the climbers and gazing out to sea. 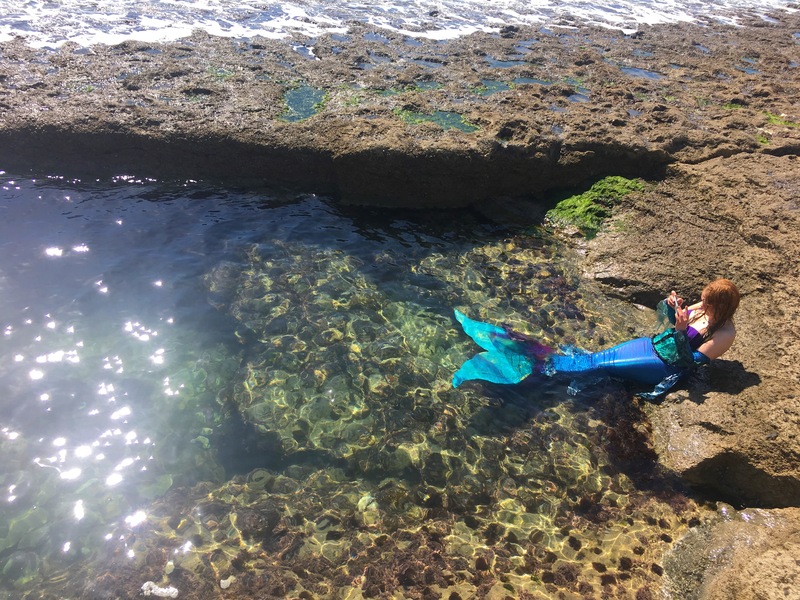 We ventured down onto the ledge and had a good poke around in rock pools, watched some boulderers and also a group doing some coasteering, and even a girl dressed in a full mermaid costume taking a dip in the swimming pool carved into the ledge (why not?!). There was plenty going on and we chilled here for a good couple of hours before deciding to walk back up the hill to the top of the cliff and do a bit of a coastal walk. Now, if only I had looked up some routes for this walk before we came I would have come across this….. The Stratch Arse Ware and Dancing Ledge Walk. Yes that is its real name! This route is even listed on the National Trust website. LOL!! So, I didn’t know we’d walked across Scratch Arse Ware but apparently we had! But instead of doing the loop walk as suggested, we headed east along the coat towards Durlston. However, this is where some toddler-sabotage happened. Having already had a pretty busy and fun morning, Oskar melted down. In response to this we decided to have a little sit down and a snack…. Within minutes he was fast asleep. 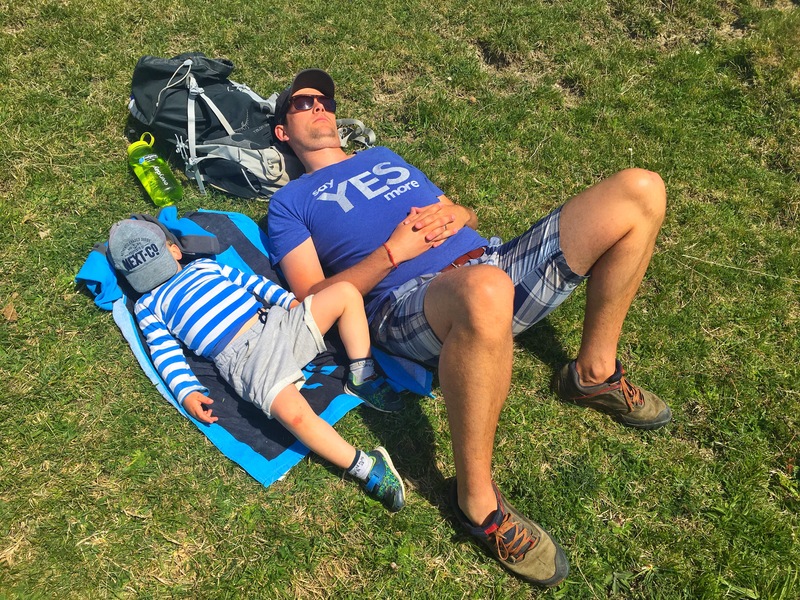 So with flexibility at the heard of every toddler-adventure, we boycotted our walk and all lay down in the sun and had a snooze. Utter joy! After about an hour, when Oskar awoke we headed back to the campsite. We’d had a brilliant day and genuinely Dancing Ledge is a must visit if staying here. 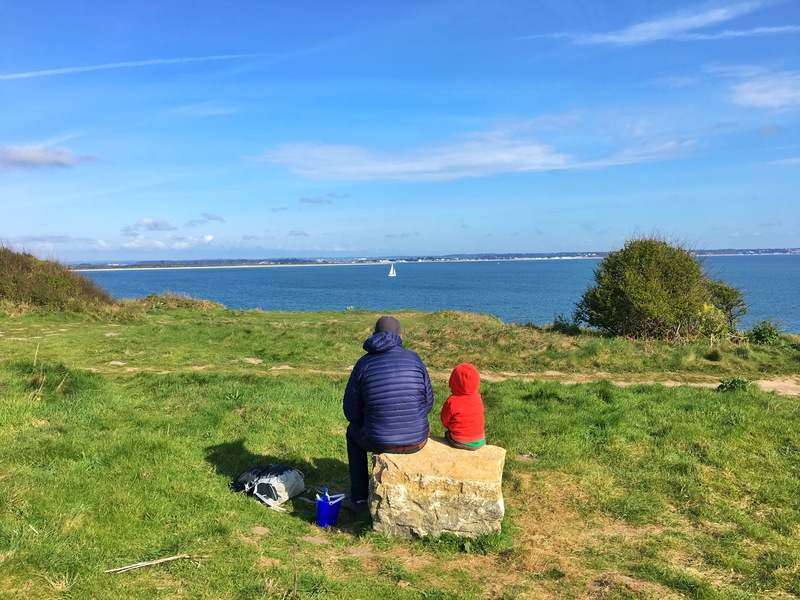 On the Saturday we leapt in the car and headed to Studland Bay, choosing Knoll Beach as we fancied exploring the sand dunes. 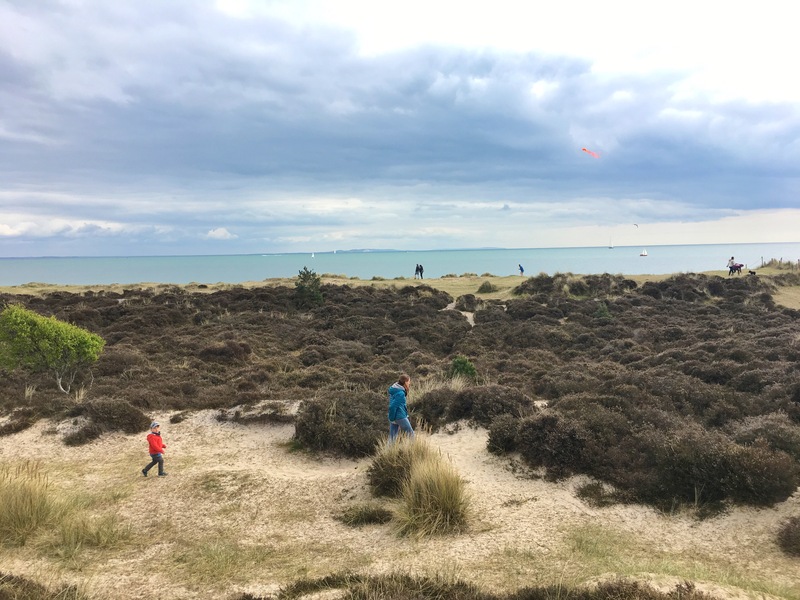 On this day over the Easter weekend there was an Easter egg hunt through the dunes being held by the National Trust (who are custodians of Studland). 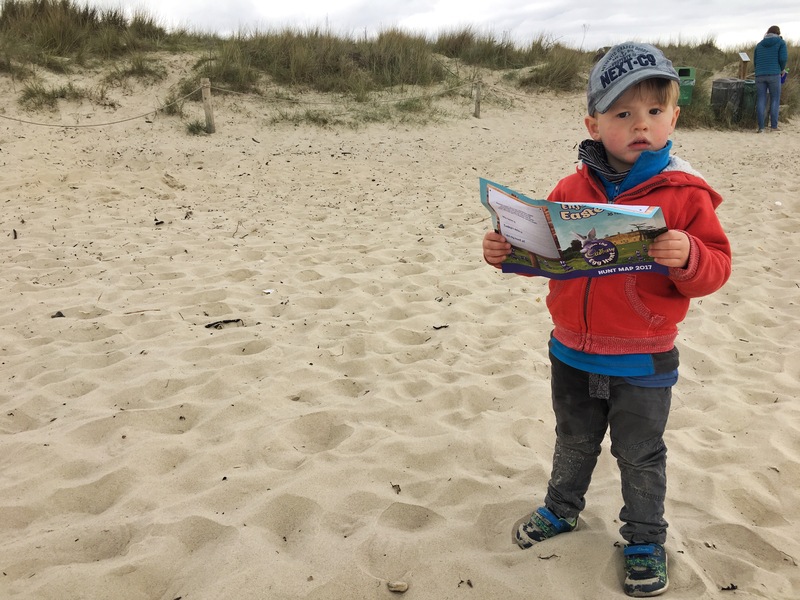 It was all a bit too old for Oskar, but we enjoyed a reason to navigate the dunes and Oskar was happy with the fruits of his labour – a chocolate bunny. It was a gloriously sunny (albeit chilly) day and we whiled away many hours building sand castles, dipping toes in the sea and walking along the beach. Still being a bit chilly, it wasn’t too busy but I imagine the height of summer is a very different story. It’s a truly lovely beach though and the largest of the three at Studland (South Beach, Middle Beach and Knoll Beach). 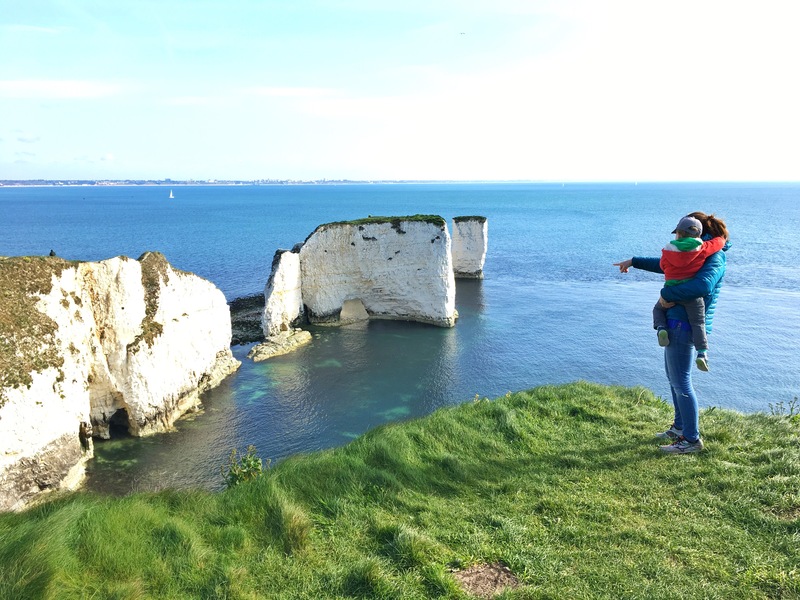 The beaches stretch for four miles from Old Harry’s Rocks in the south to Shell Bay in the north (where a ferry connects the coast with Poole and Bournemouth); they are clean, natural, expansive and on a clear day such as today we could see all the way to the Isle of Wight. We will definitely be back in summer! Our favourite day of our trip to Dorset was actually our last day. Having not yet walked to Old Harry’s Rocks, we got up early, and drove to South Beach, where we parked before picking up the coastal trail to Harry’s Rocks. 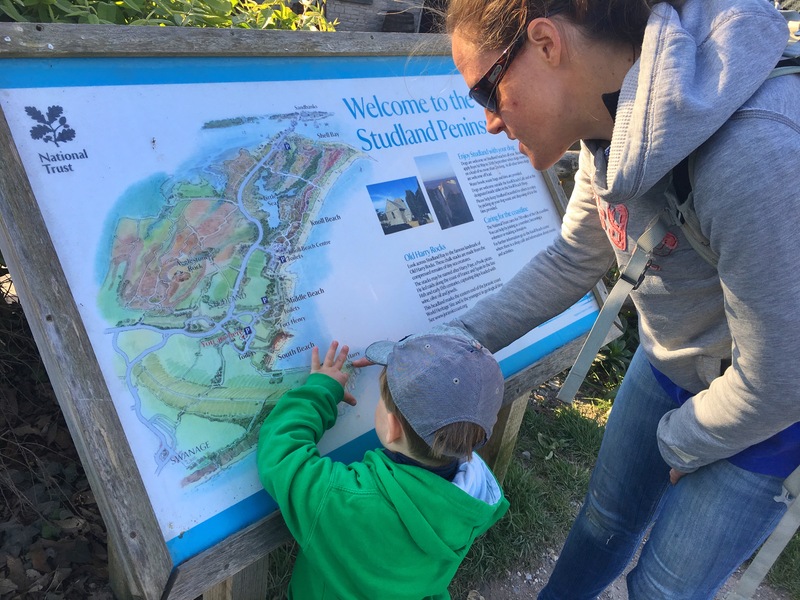 We just walked from South beach to Old Harry’s rocks and back again (having promised Oskar some more sand-castle building back at the beach) but the National trust suggests a nice loop walk, which would be lovely for those who fancy more of a coastal exploration. The walk from the car park at South Beach to Old Harry’s rocks only took 30mins but was stunning, with views all along the coast. 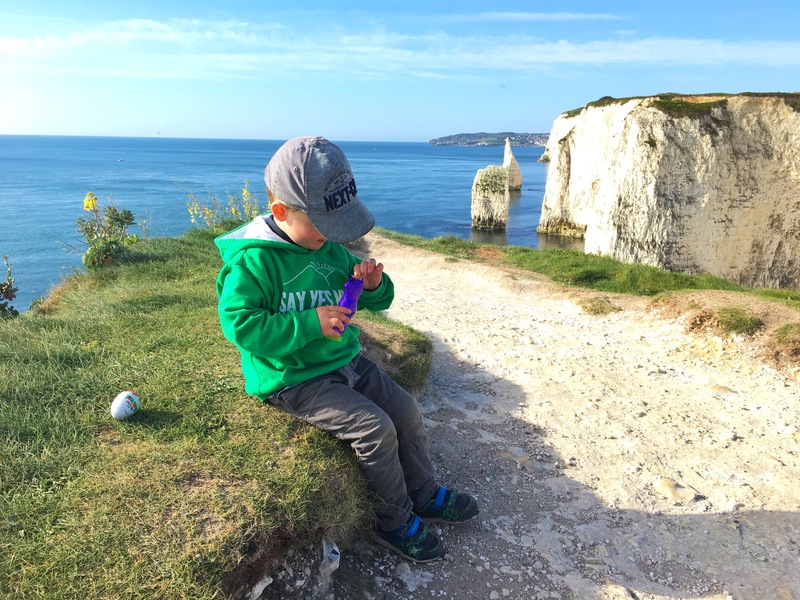 Oskar was spurred on by the fact that we had told him that Easter Bunny had left his eggs on the cliff over looking Old Harry’s rocks (the curse of having adventure-loving parents)!! 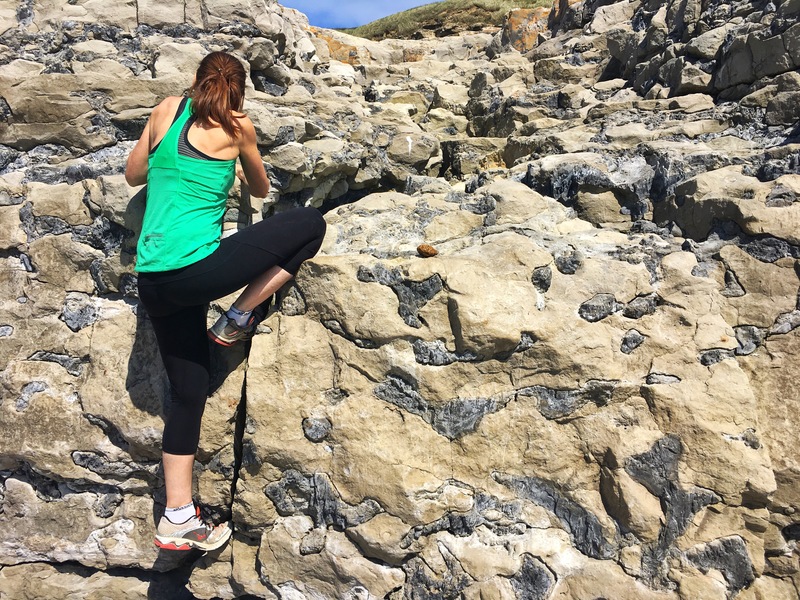 It was a stunning view of the chalk cliffs and SO worth the walk; it’s a definite must-do while you are here: so easy and yet so rewarding. My favourite moment of the trip was sitting eating our easter-egg breakfast gazing out to sea and already feeling like we had accomplished something and experienced something special, even though it was only 8.30am in the morning. Happy days. 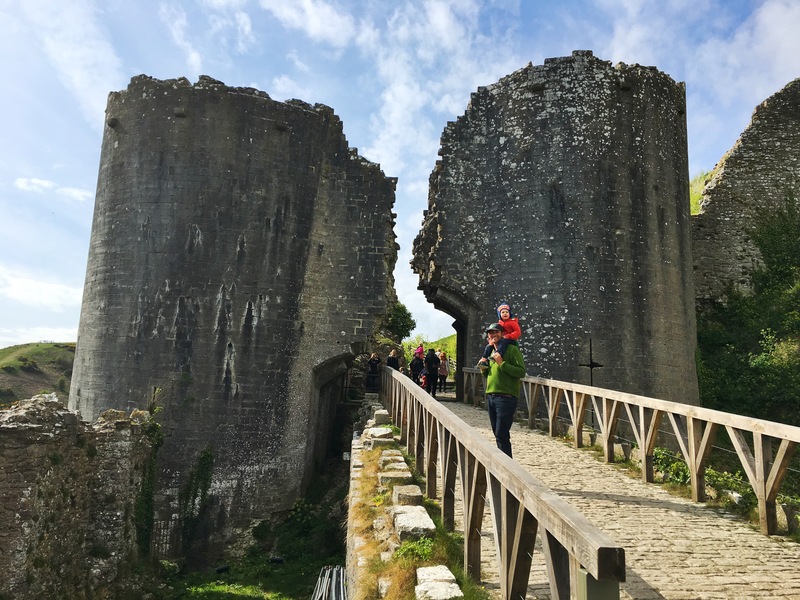 Another must-do if you have kids is a visit to Corfe Castle (another National Trust property – we were certainly getting some use of our annual membership this weekend!). 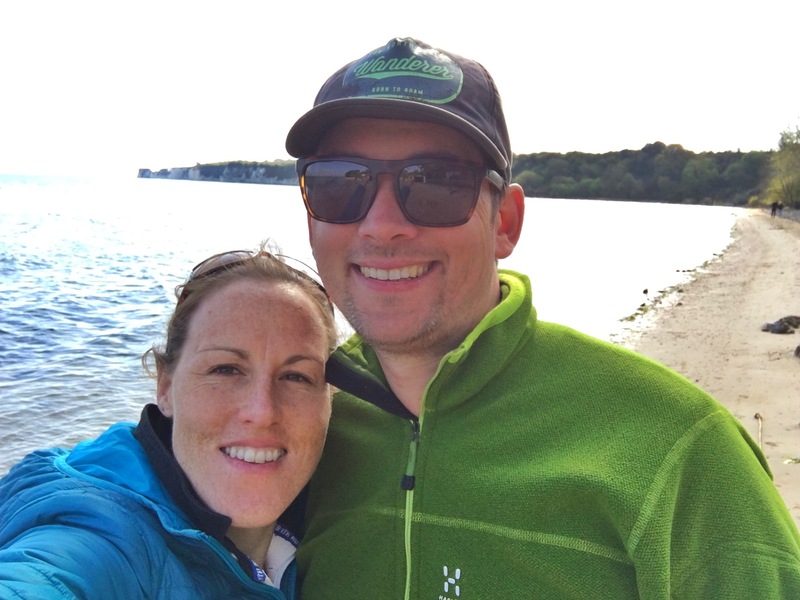 We chose to cycle there from our campsite, which we LOVED! However, note to self, this is not a cycle to do in reverse unless you seriously love hill-climbs! 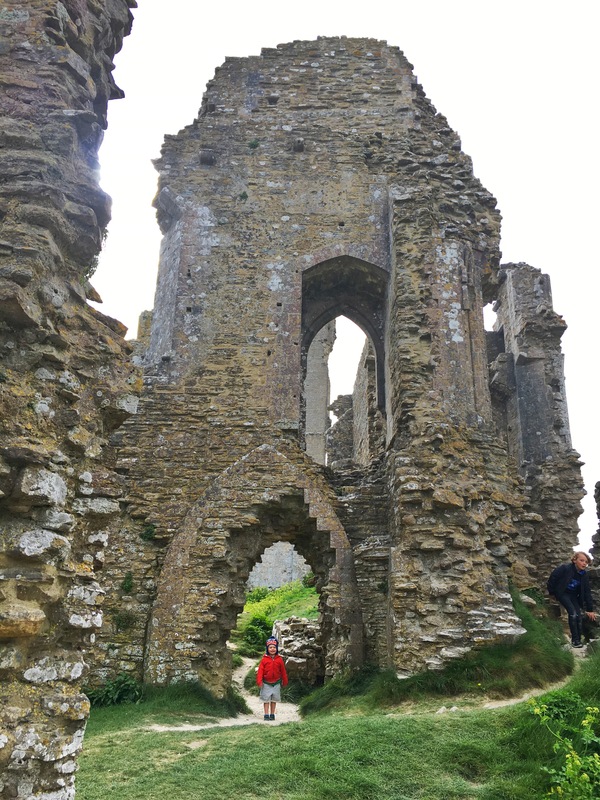 It was 5 miles from the campsite to Corfe Castle and we basically free-wheeled a large proportion of that. It was really enjoyable cycling, along rural roads overlooking rolling hills. We left our bikes at the National Trust café (there are bike rails to chain up to), and then walked the few minutes to the castle. 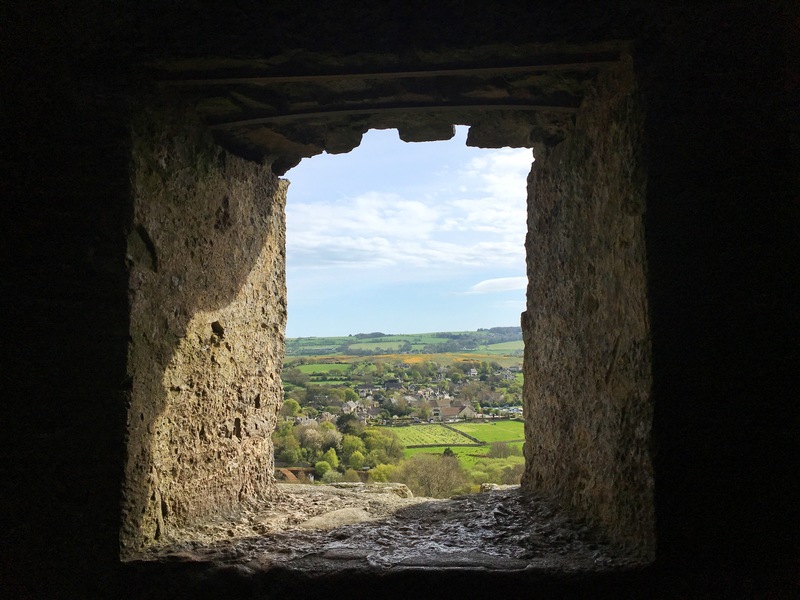 It’s an interesting castle with a fascinating thousand-year history and is a great place to explore – it’s in ruins and you can clamber over large sections of it and poke around, so you really feel like you are ‘discovering’ it. There were kids running around having a whale of a time, climbing all over it and hiding in its many nooks and crannies. We spent about an hour there but you could easily have spent much longer. The NT had all sorts of activities running – archery, games, easter eggs hunts, you name it, it was happening. 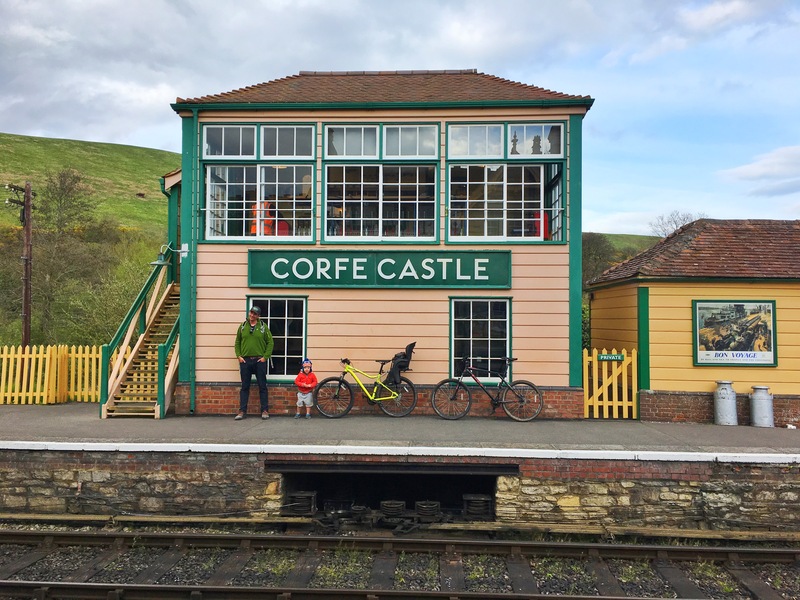 From the castle we cycled to Corfe Castle Station to take the steam train back to Swanage. This was the bribe that we’d been using to maintain Oskar’s behaviour the whole weekend! 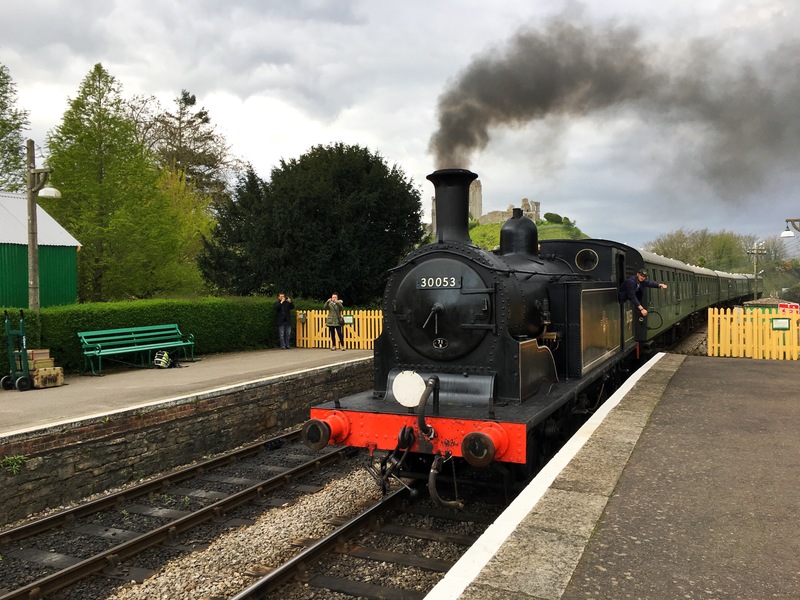 It was a magical experience – the old station is wonderfully restored and preserved and the steam engine was impressive. Tickets were £7 each (adult) and £5 for a child for the single journey, which was well worth it. 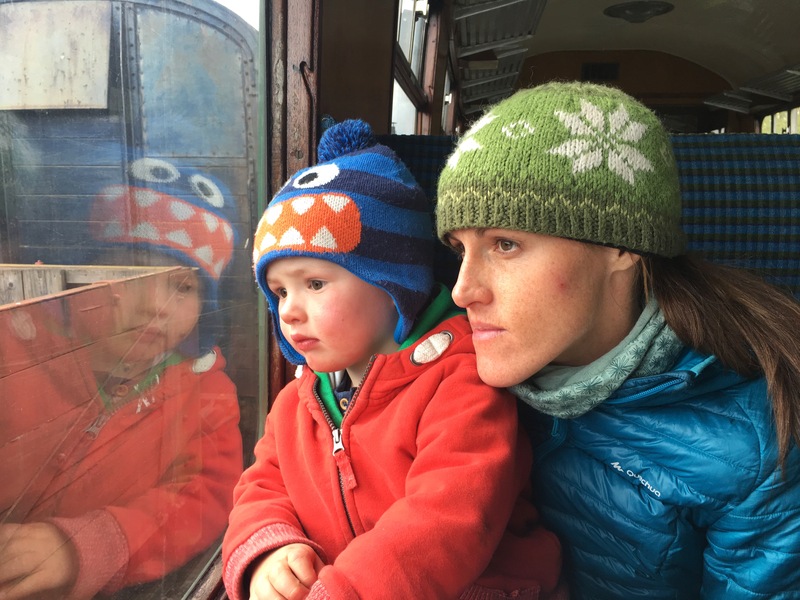 We puffed our way back to Swanage with Oskar wide-eyed and excited, gazing out of the window. 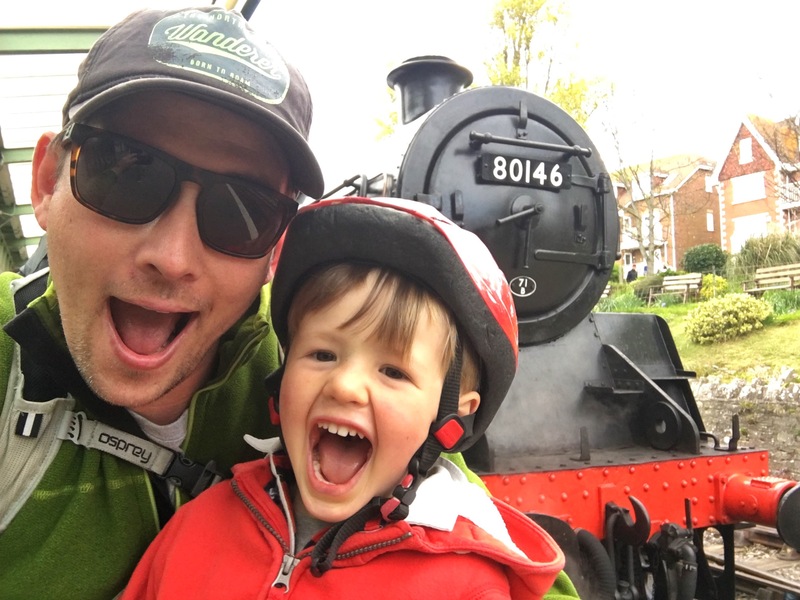 It was about a 20 minute ride – the perfect length of time to keep a little person’s interest and also be able to sit back and relax a little! 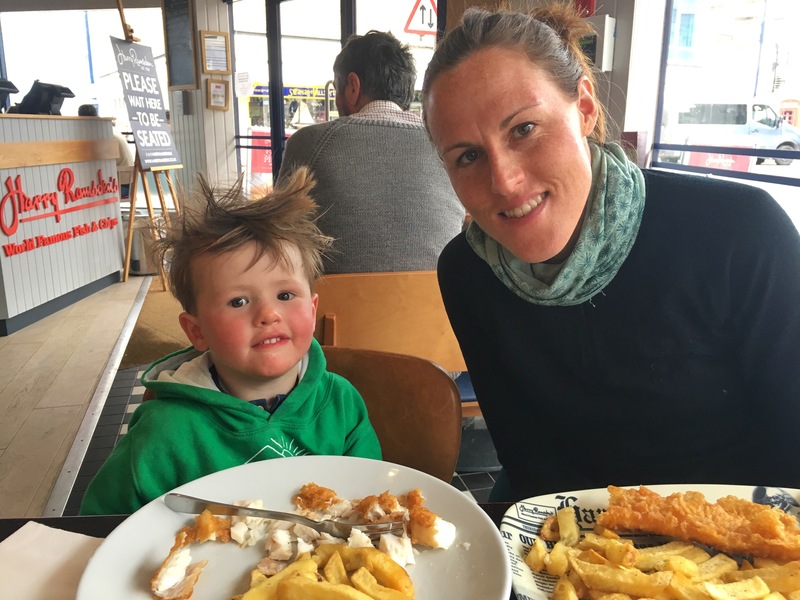 Back in Swanage we stopped for a re-fuel, after all, you can’t come to the British seaside and not have fish and chips!? So after wolfing down a delish cod, chops and mountain of tartare sauce at Harry Ramsdens on the sea front, we then peddled back up the hill to the campsite. It was already 7pm by the time we returned so it had been rather a full day, starting 12 hours earlier with our trip to see Old Harry! We’d packed a lot in because there was genuinely still so much to do and we didn’t want to go home without experiencing it. 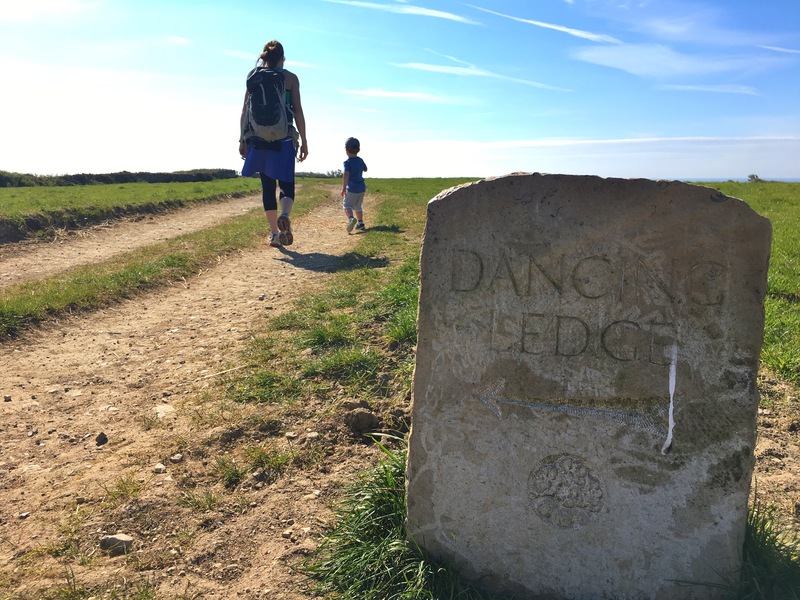 But many Dorset stones have been left unturned, meaning we will definitely need to come back soon…. Middle Beach, Lulworth Cove, the ferry ride to Poole and the famous ‘Square & Compass’ pub in neighbouring Wroth Matravers to name but a few. Morts and I genuinely felt this had been our best family adventure so far. 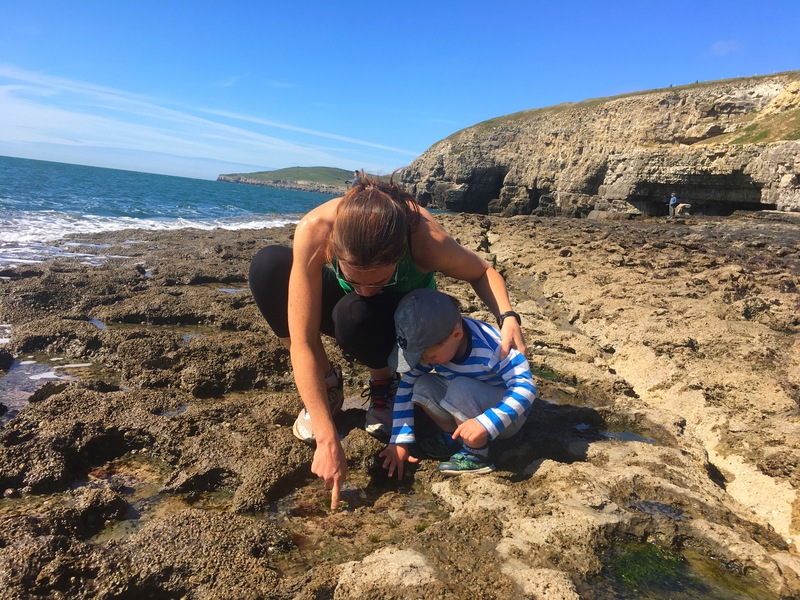 The Isle of Purbeck is perfect for families and there is so much to do, see and explore. Get yourselves here this spring/summer!